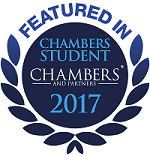 Each year FTB attends a number of pupillage, law and careers fairs at universities, law schools and institutions throughout the country. These are an excellent opportunity to meet members of chambers and discuss any questions you may have about chambers and the type of work we do in an informal setting. More information on each fair should be available directly from the host or venue. If you would like us to consider coming to your fair, please contact us.